Let me take you back to a time when photo stories with speech bubbles were the most state of art romance fiction you could get, when Cathy and Claire were the ultimate agony aunts and every girl had to do a quiz to find out if she was really in love or if it was just infatuation. This is the era of Jackie magazine: the girl's bible in how to dress, act and love during the 1950s through to as late as the early 1990s. Bringing back the wonder of Jackie is this fun, cleverly constructed quality musical that is a cut above the usual nostalgic show. From curtain up at Birmingham's New Alexandra Theatre, there's a buzz and for the next two hours, Jackie The Musical ends up being the most fun and feel-good musical I've seen in theatre for a long time. 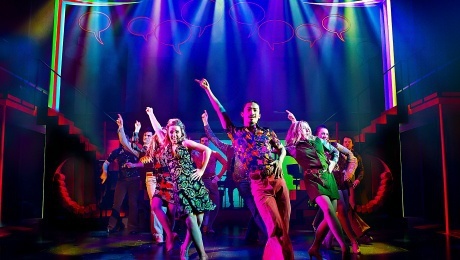 Similar in style to hit musical Mamma Mia!, it combines a story about a heartbroken middle-aged single mother (about to get divorced and getting a lot of support from a zany best friend) with a multitude of catchy singalong 1960s and 1970s hits and a series of vibrant, first-class dance routines. Part of Jackie The Musical's success is making the characters likeable with interesting back stories, the other part is having a high quality cast. Leading the way is Janet Dibley, well known for starring opposite Nicholas Lyndhurst in sitcom The Two Of Us. Dibley plays Jackie, who is having a mid-life crisis when she finds her old Jackie magazines and starts to hallucinate conversations with her younger self. Dibley is a reassuring figure on stage to act out the drama and proves she's got quite a voice too. 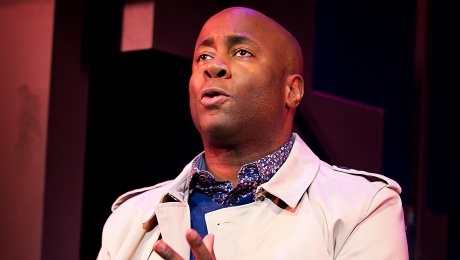 Then there is Nicholas Bailey, who played Dr Anthony Trueman in EastEnders, as a love interest with a smooth silky voice and plenty of charisma. Graham Bickley, who played Joey Boswell in 1980s TV show Bread, is another well known face as Jackie's soon to be ex-husband. Despite these stars from TV, it's also the unfamiliar who shine in this lively drama. Daisy Steere stands out as fresh talent while playing the younger Jackie, and Michael Hamway, playing Jackie's son David, is a strong all rounder that has a rapport with the crowd. The real scene-stealer however is Bob Harms as the eccentric local bar owner Frankie. He has fantastic fun with the role, creating some mind-blowing hip action for the ladies and is at the centre of many a dance routine to songs like Crazy Horses, Tiger Feet, Love Is In The Air, Puppy Love and Enough Is Enough. With music like that, the audience was ready to party as soon as the first song got under way. Each dance sequence got more fun and spectacular as the show progressed and even incorporated the famous speech bubbles and agony aunts Cathy and Claire. What's also refreshing is that this show isn't a cliche and it keeps you wondering how it will end in terms of Jackie's future. It's very much an ending for a 21st Century woman rather than a 1970s teenager. Not taking itself too seriously, this show is all about fun with a capital F and there are plenty of in jokes that Jackie magazine readers will love. It toes the line well as there's obviously still a real sentiment and nostalgia attached to the magazine, so much so that there were sighs when a copy of Jackie first appeared on stage. 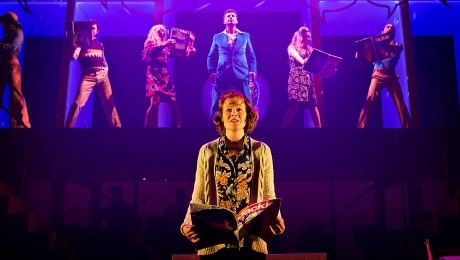 Although this is heavily aimed at women who remember pawing through their beloved copies of Jackie, this has to be one of the most refreshing, lively comedy musicals around at the moment. It's a must-see show. Tickets cost from £17.90 - £42.40 from the ATG Theatre website.